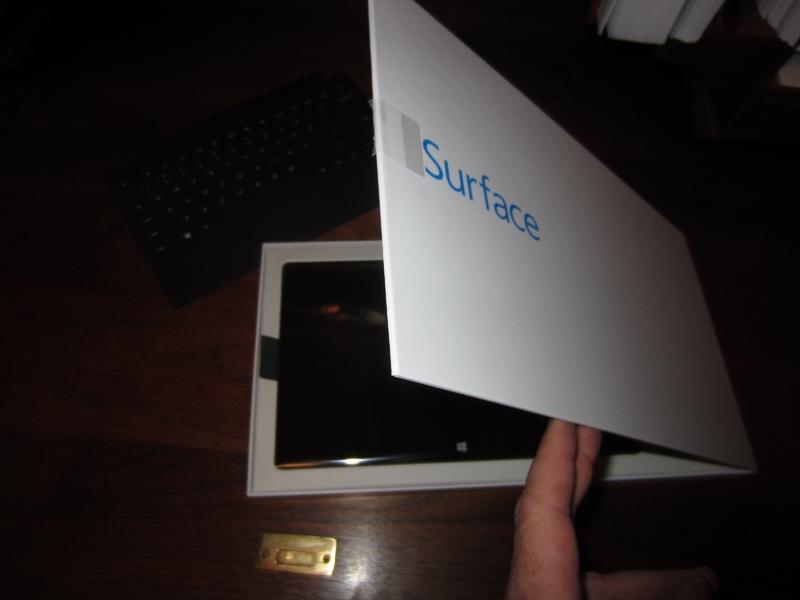 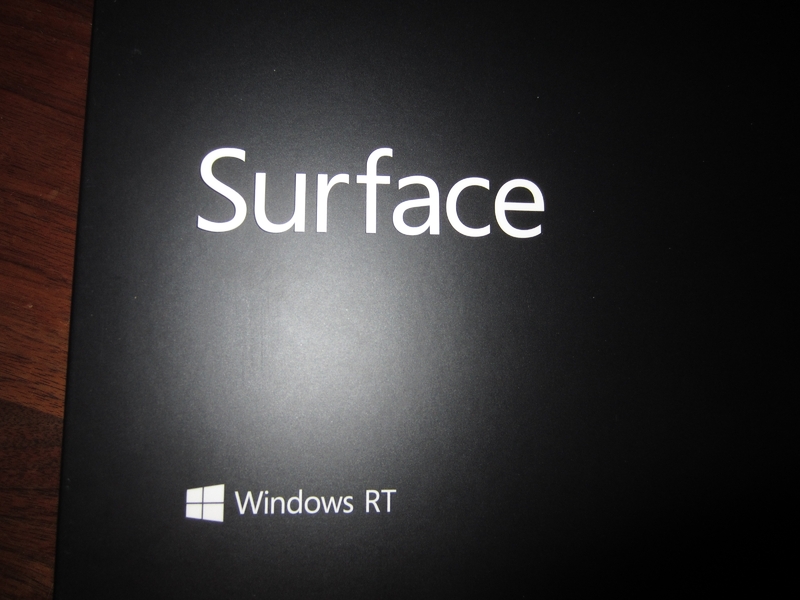 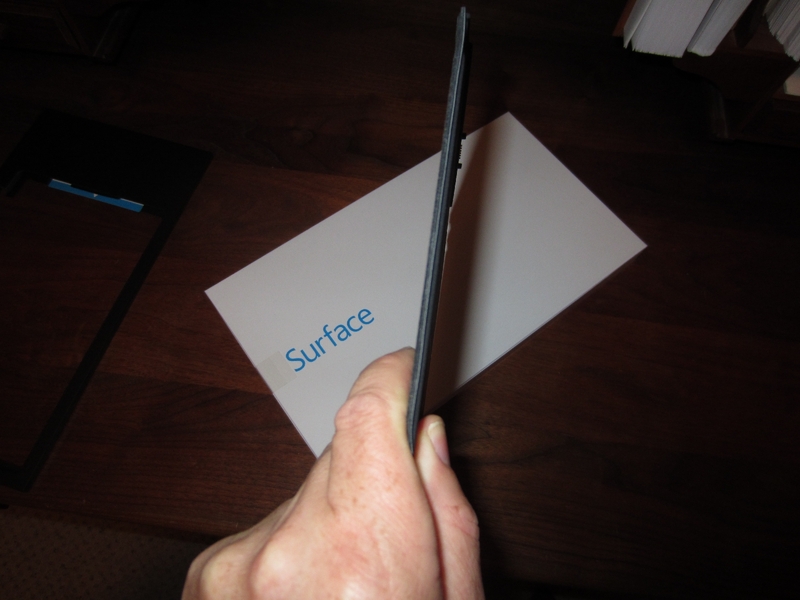 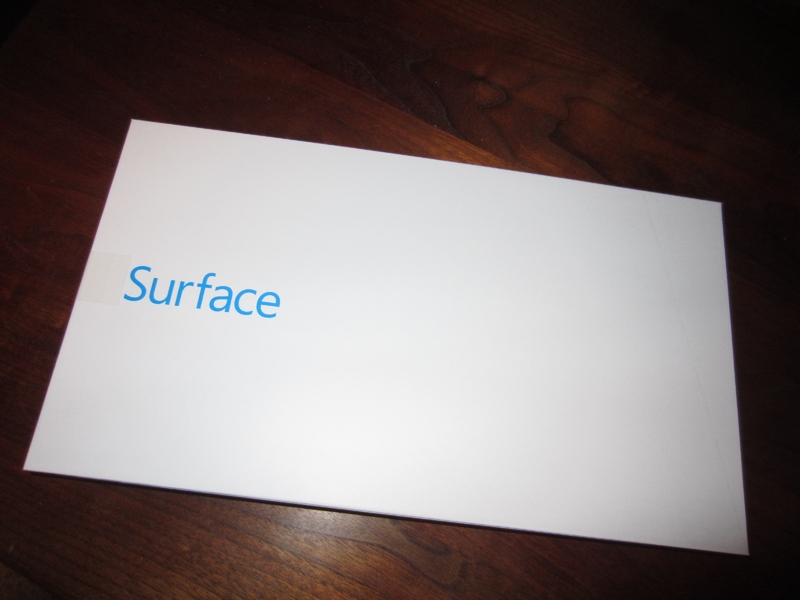 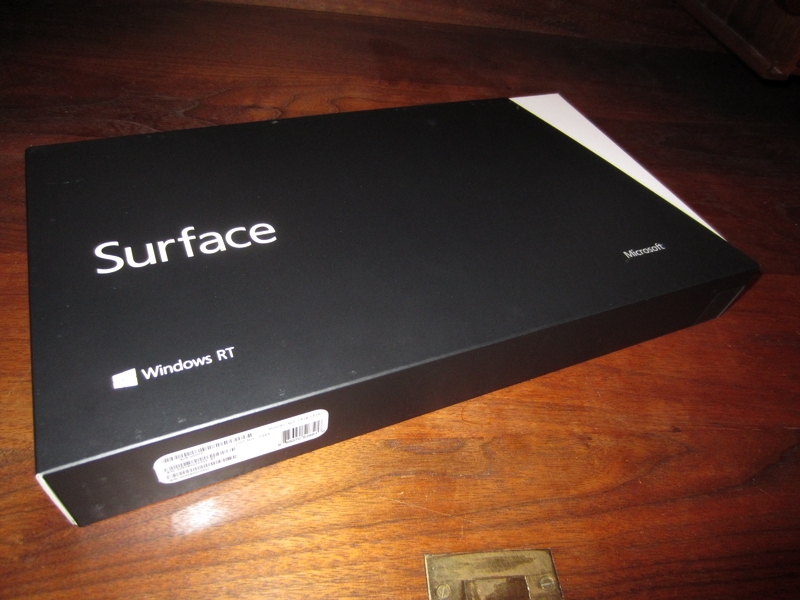 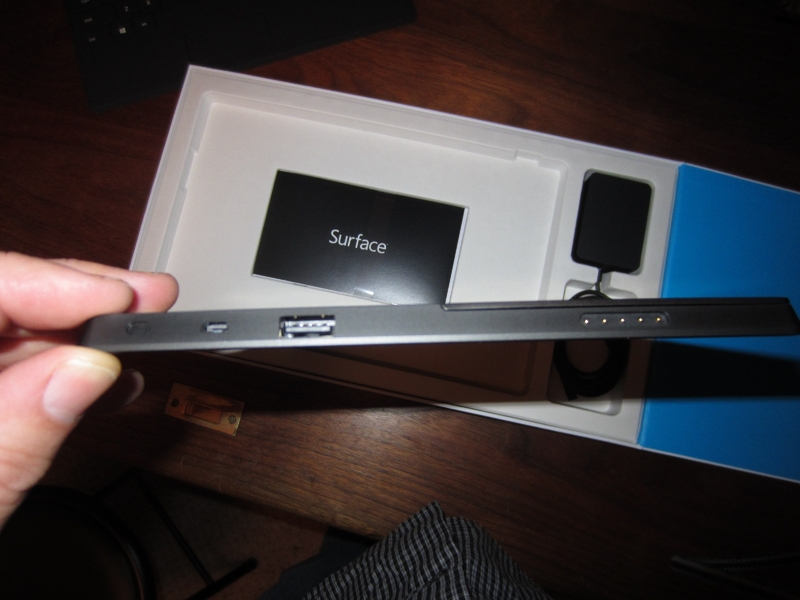 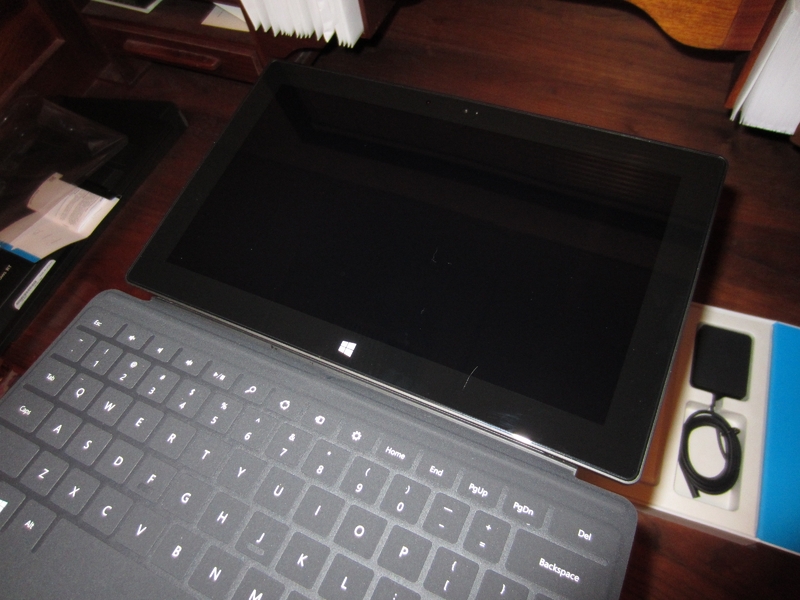 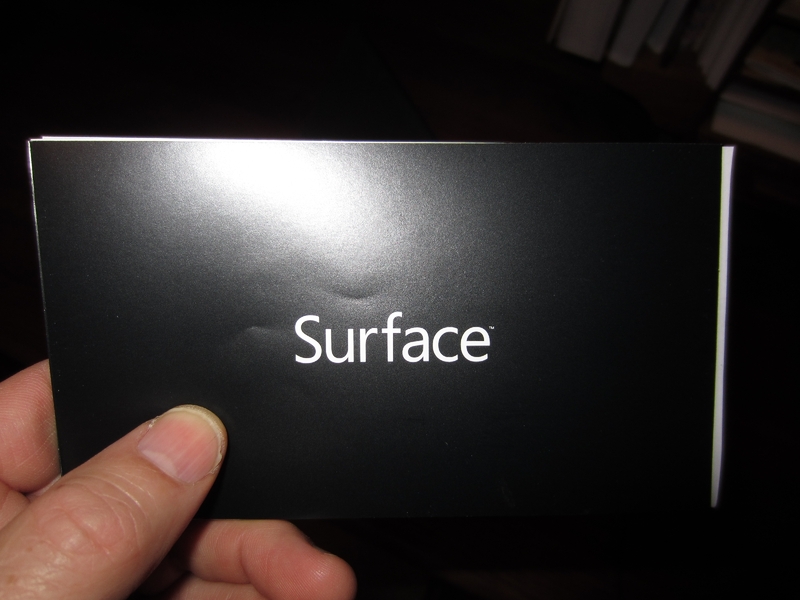 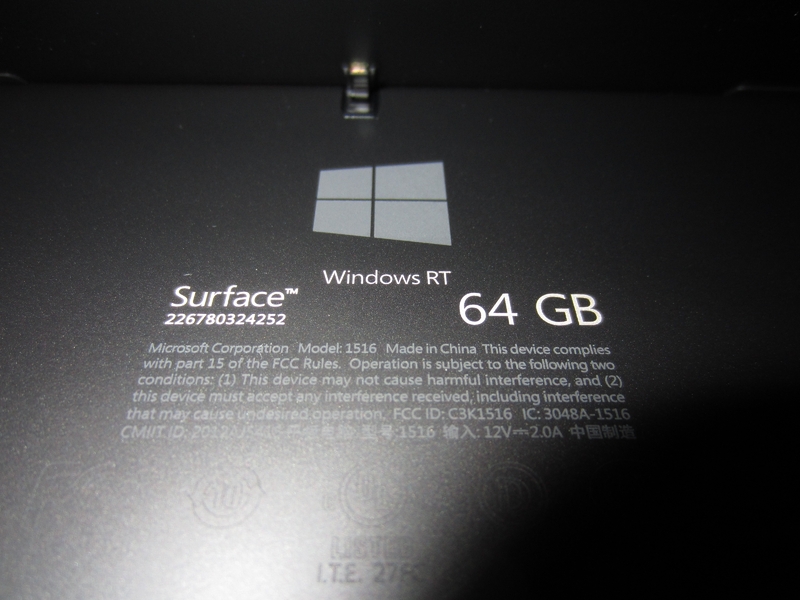 Unboxing a new 64GB Surface tablet from Microsoft. 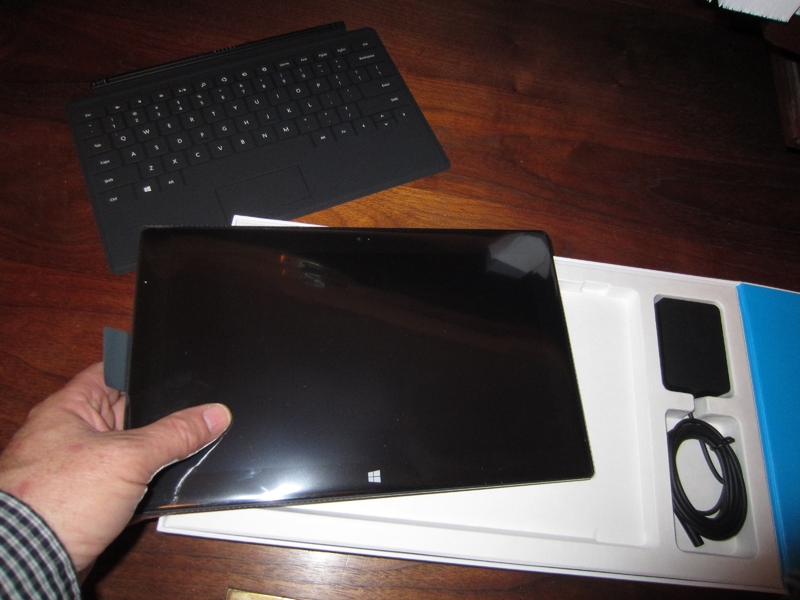 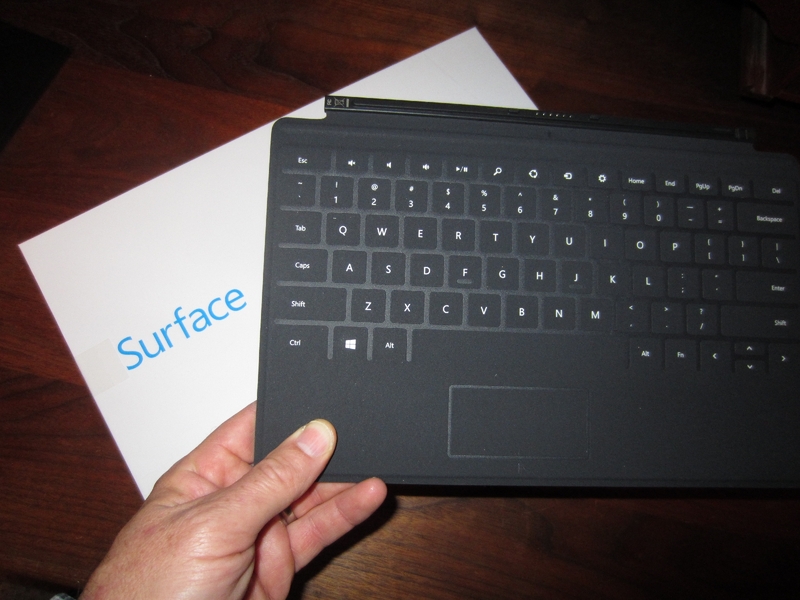 This is the 64GB Surface with black touch cover, $699. 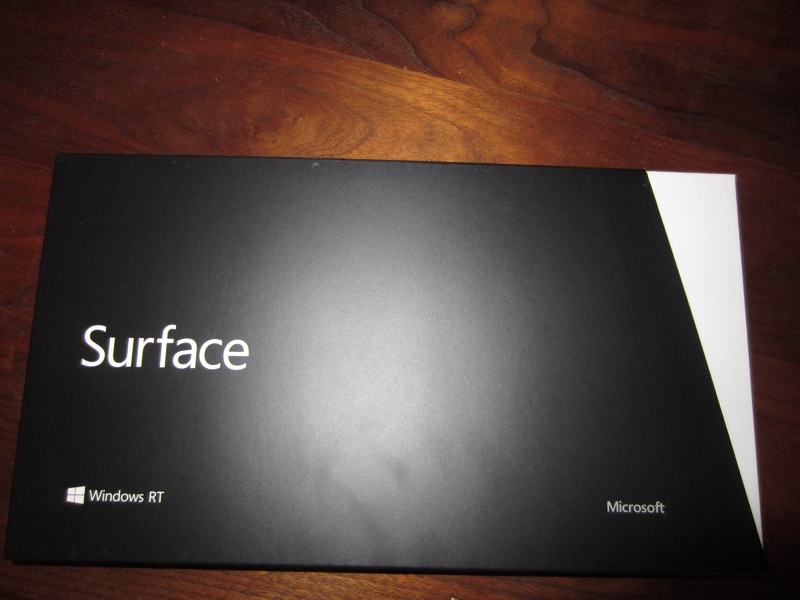 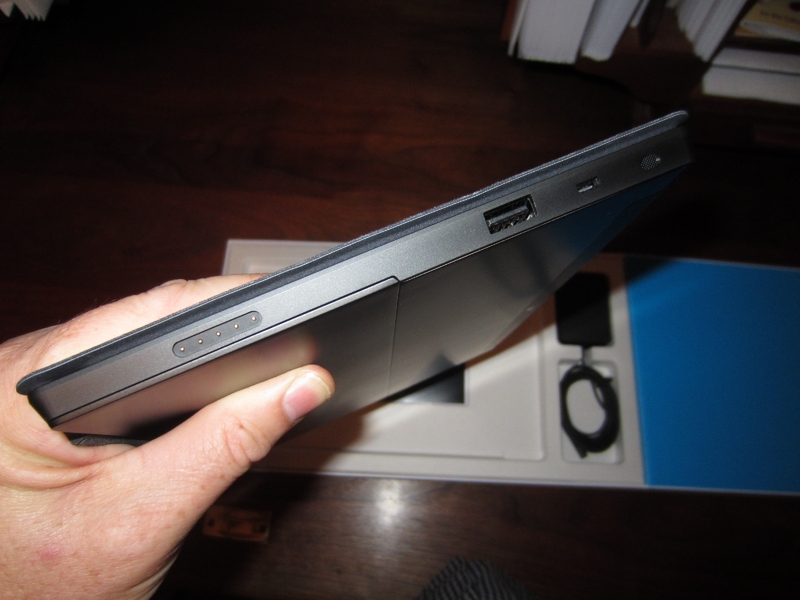 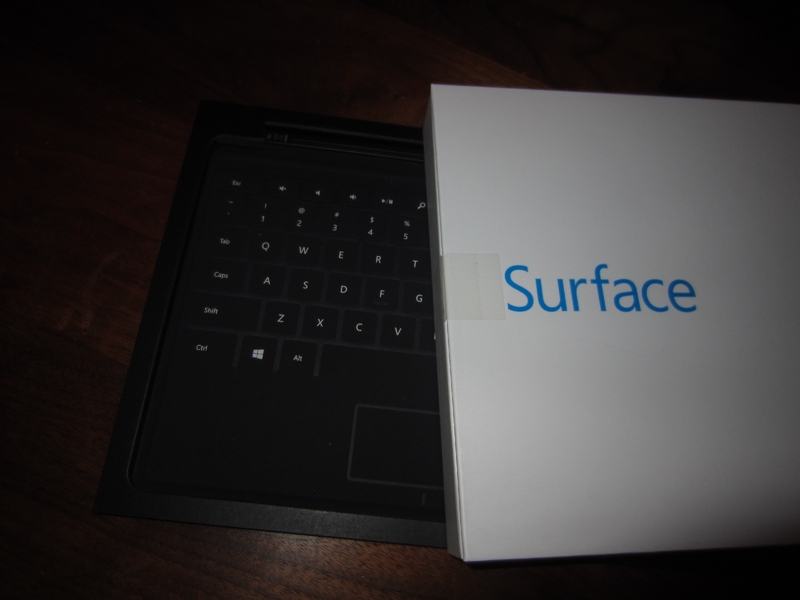 Microsoft was as good as their word and I received the Surface on 26 Oct, 2012–launch day for Windows 8 and for Surface. 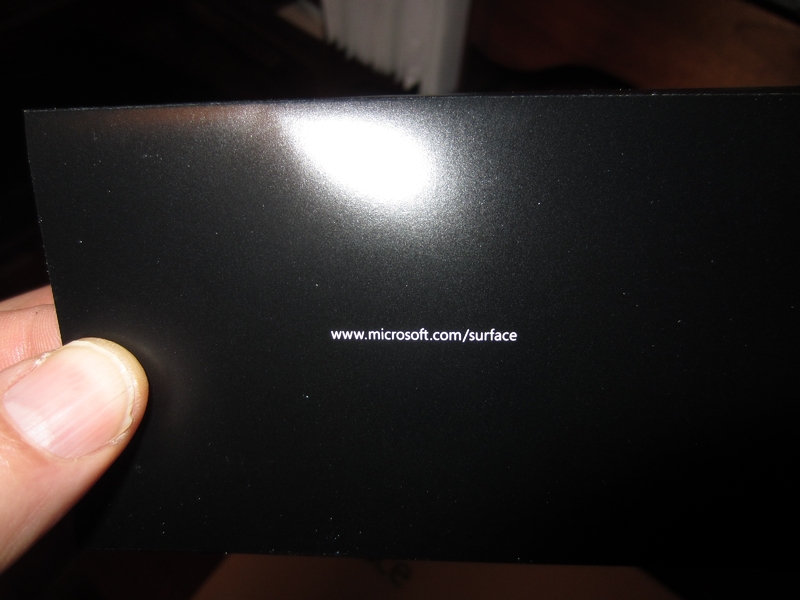 No lines, no waiting. 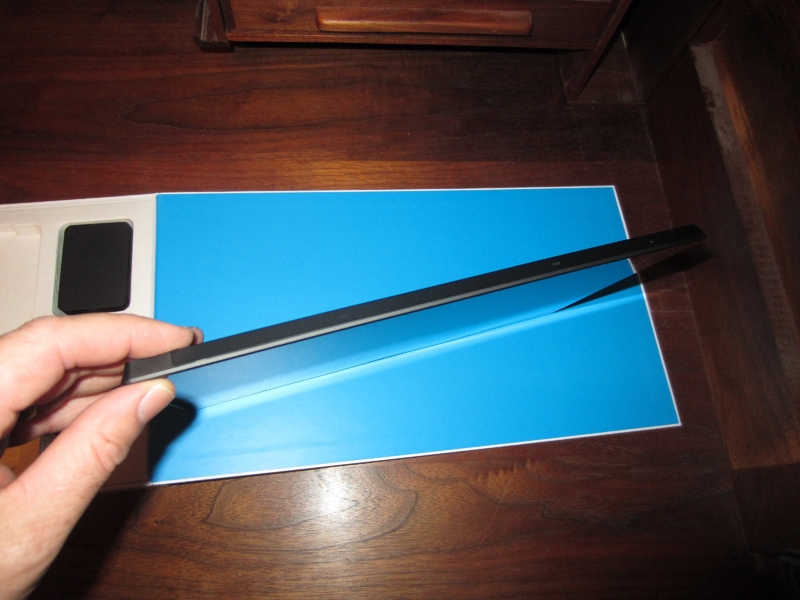 The whole she-bang–a simple black outer sleeve with an inner white box for the Surface. 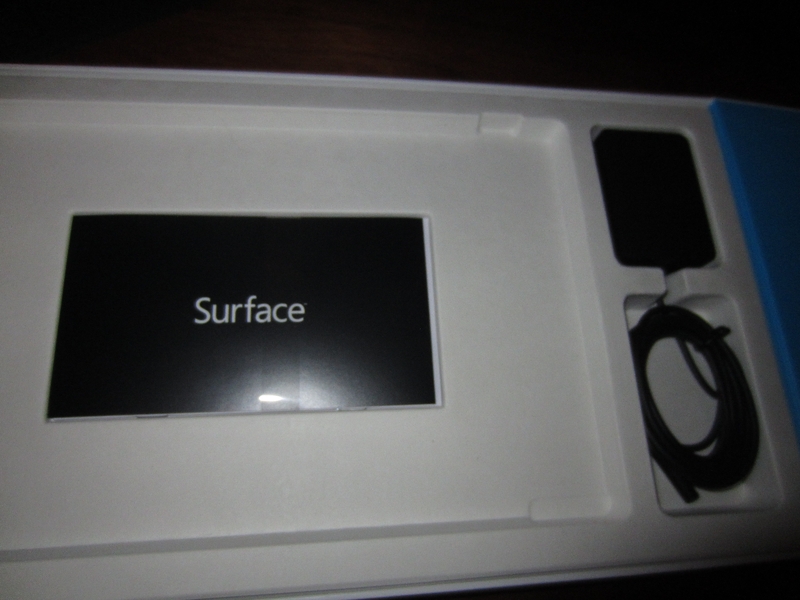 The inner white box, also with simple branding. 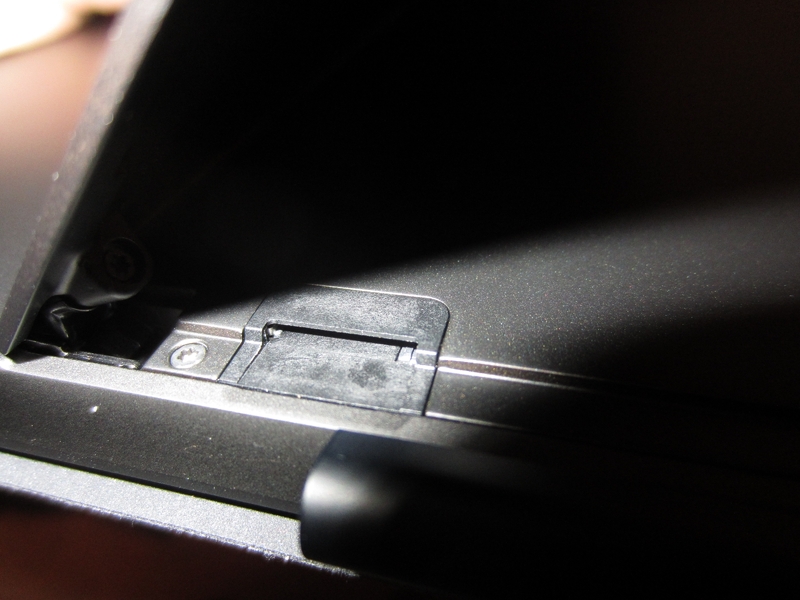 Slide the white box to reveal the touch cover in a little compartment below. 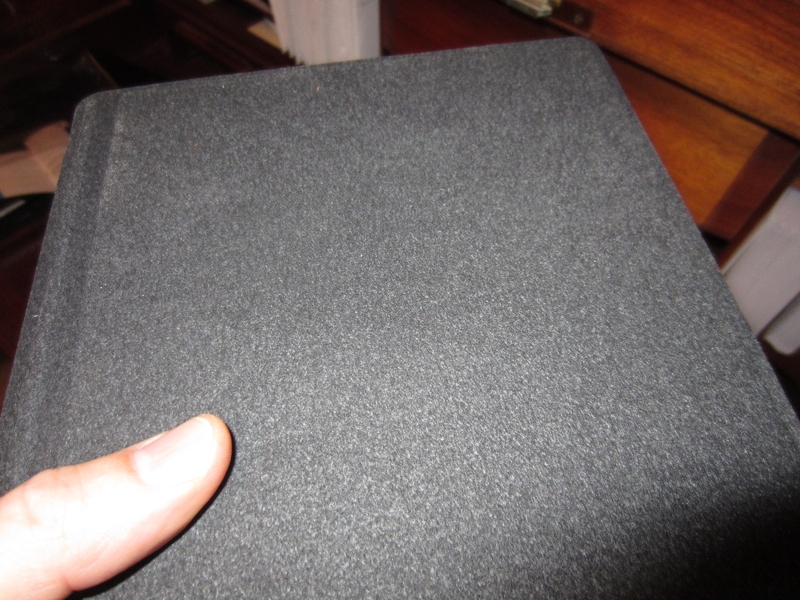 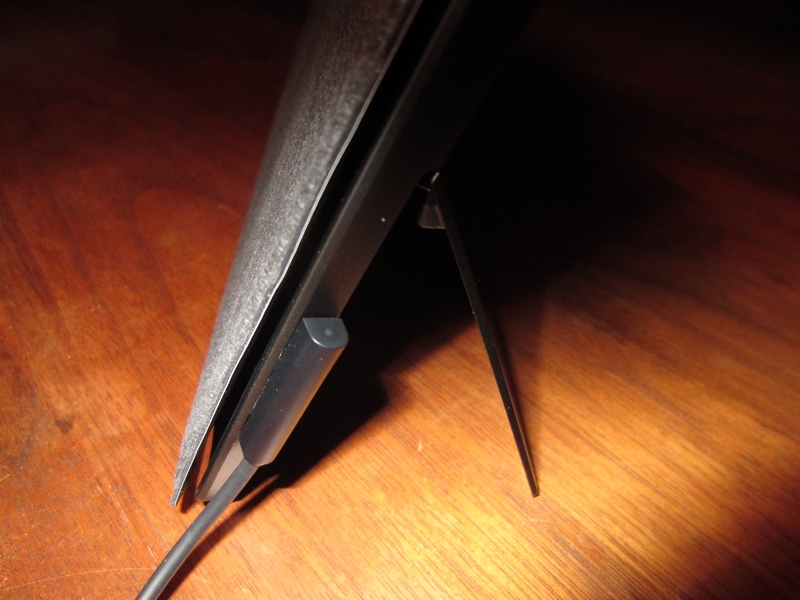 A closer view of the touch cover, with a fairly pleasant black material. 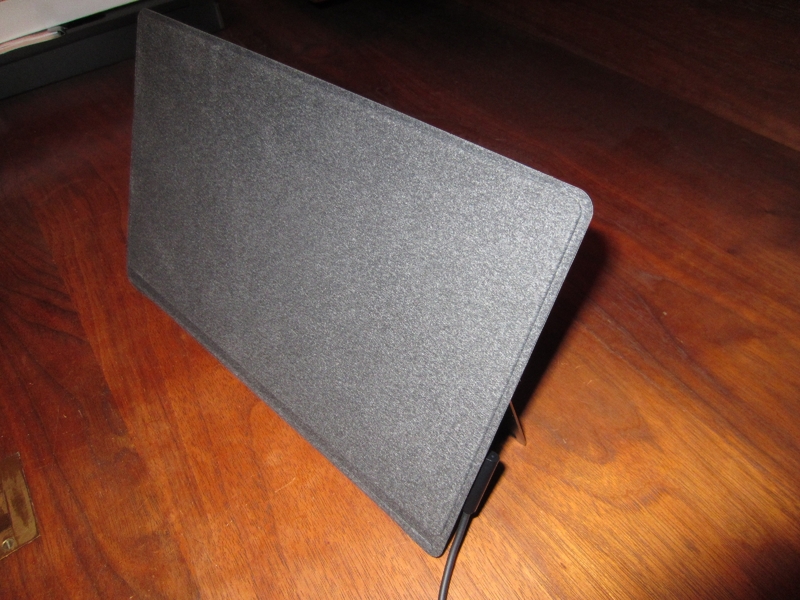 Another view of the touch cover. 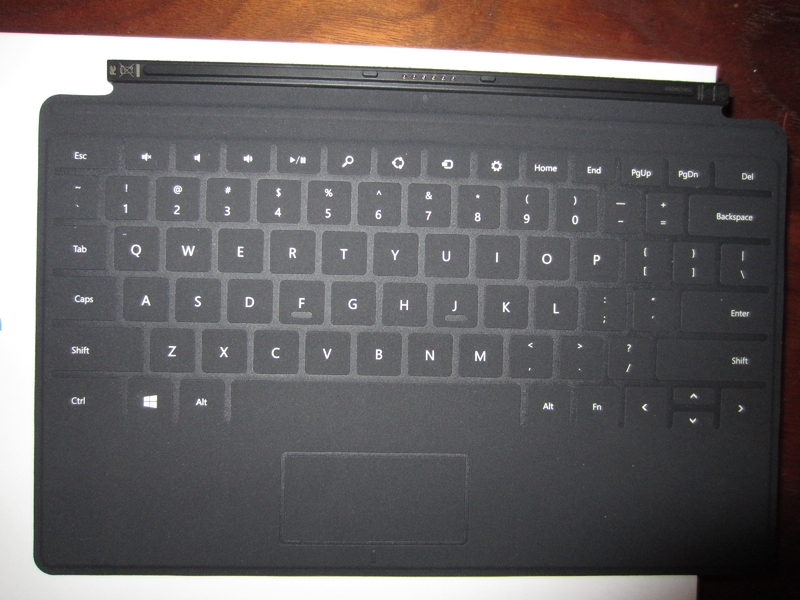 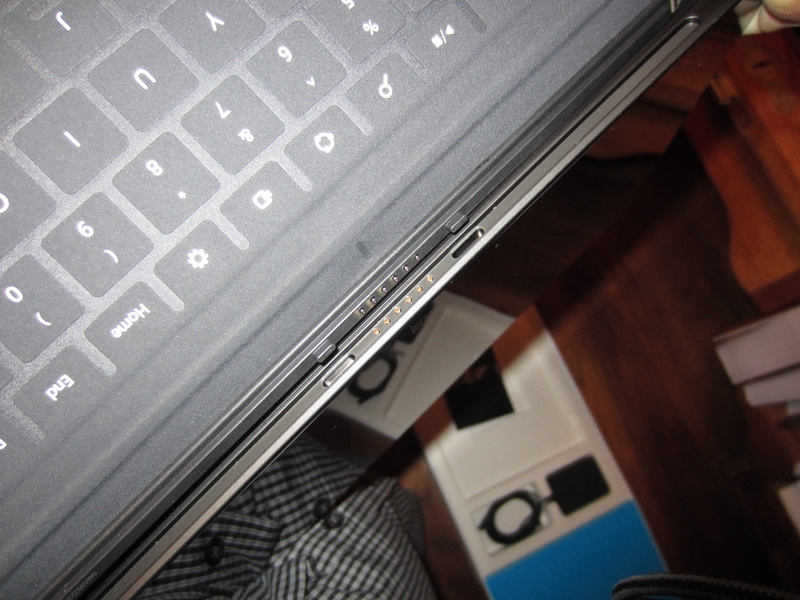 Keys on touch cover are slightly raised, but do not click or have any travel. 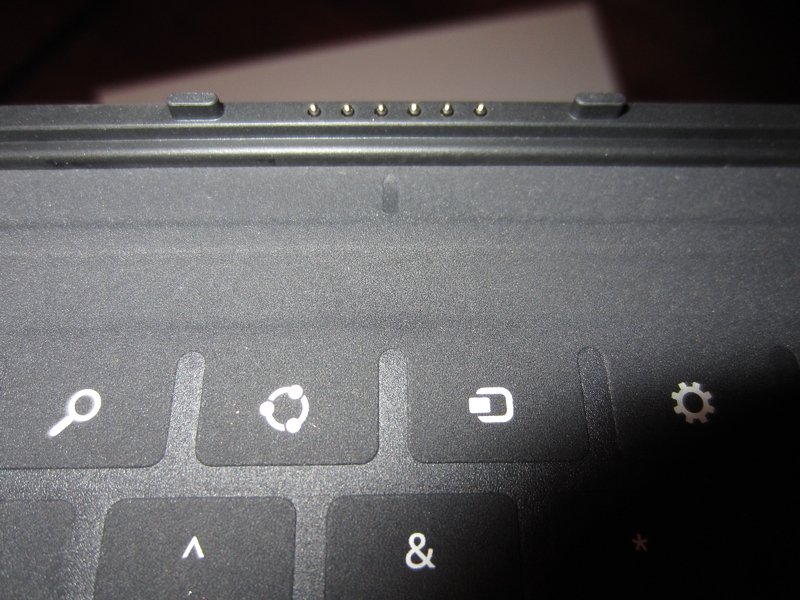 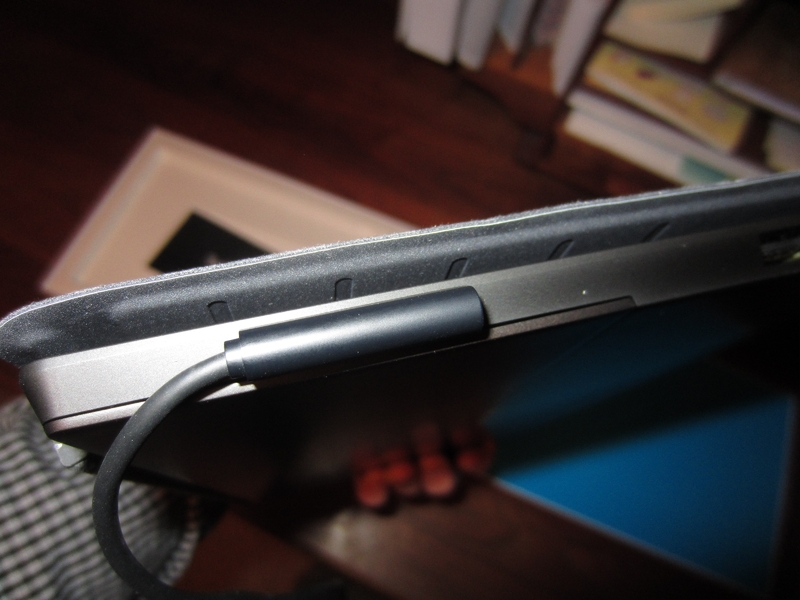 A closeup of the magnetic connector at the back of the touch cover. 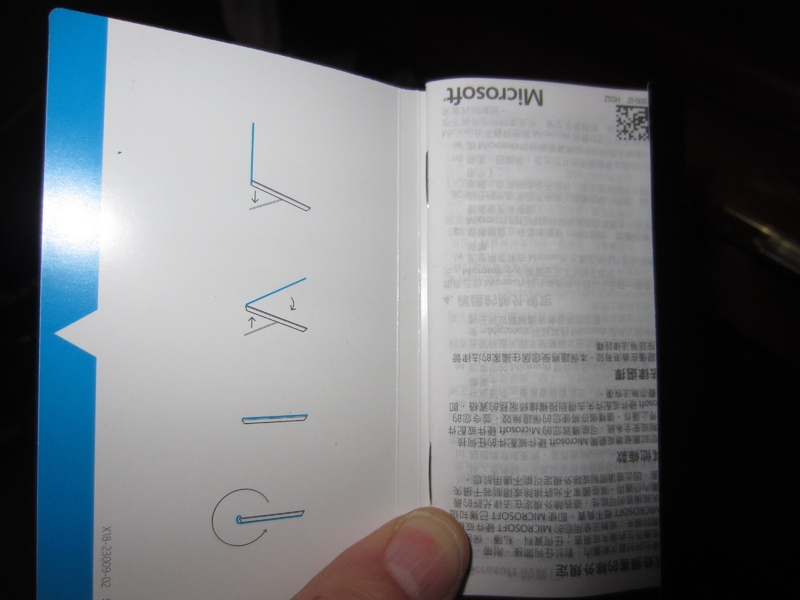 Instructions are in tiny little booklet. 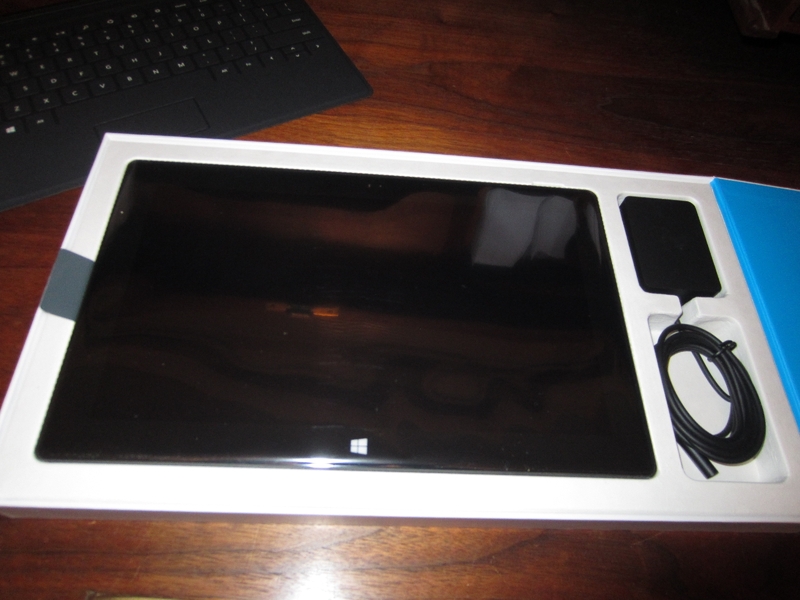 In the box is the Surface tablet and a power supply. 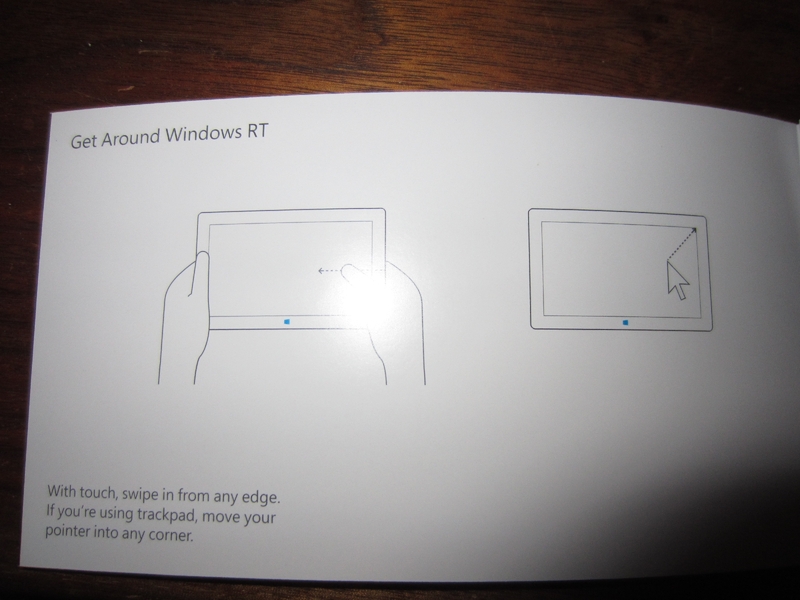 Below the device is another little instruction booklet. 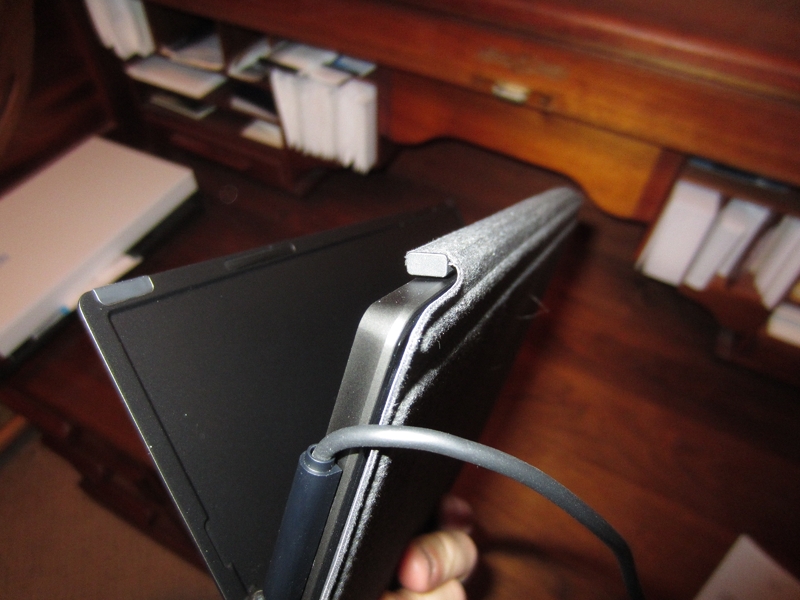 Right edge has speaker, HD video out, USB and connector for power cable. 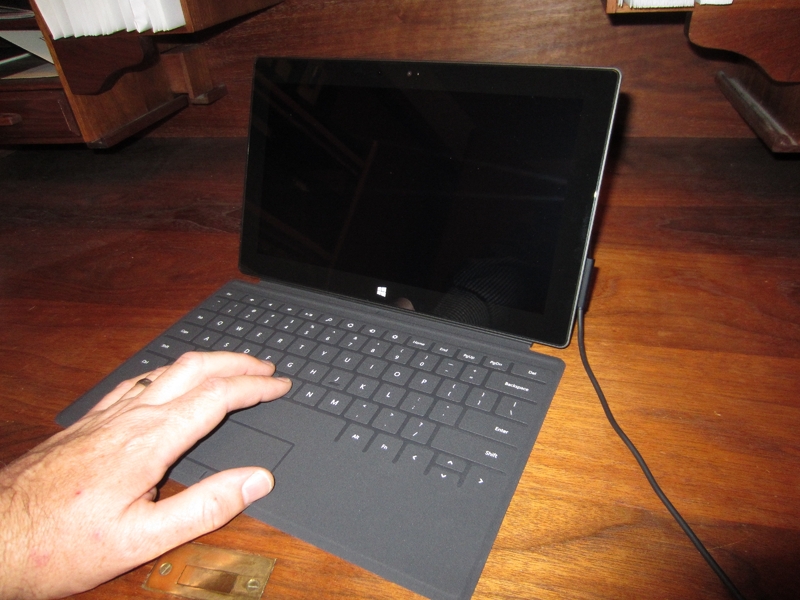 Connecting the touch cover was simple. 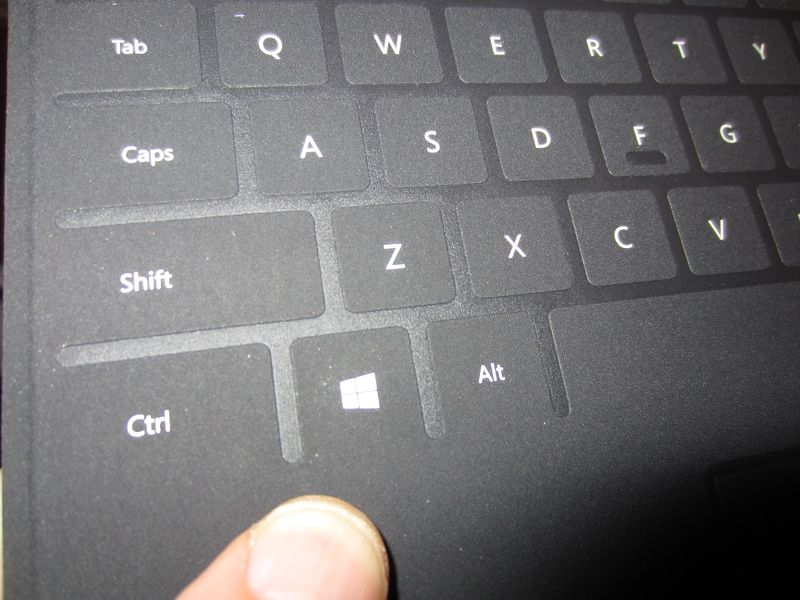 And yes, it did result in a satisfying click. 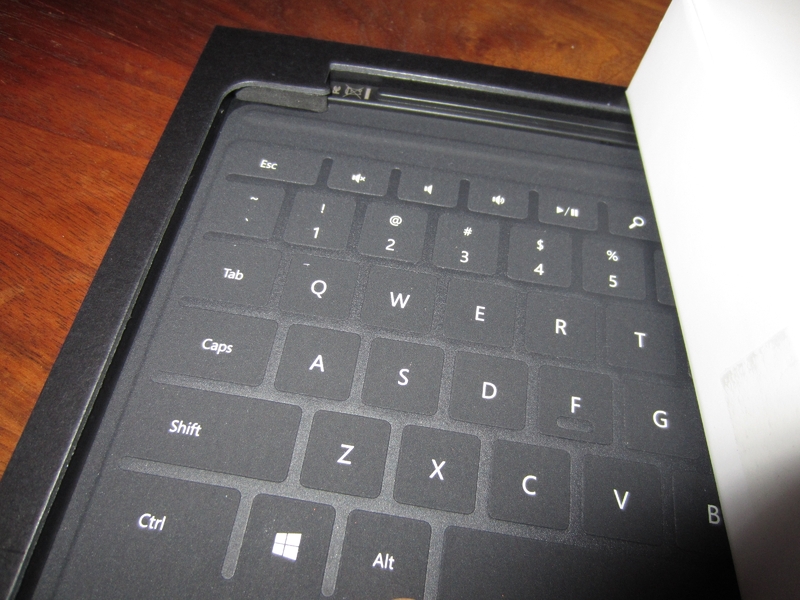 The outside surface of the touch cover is sort of fuzzy. 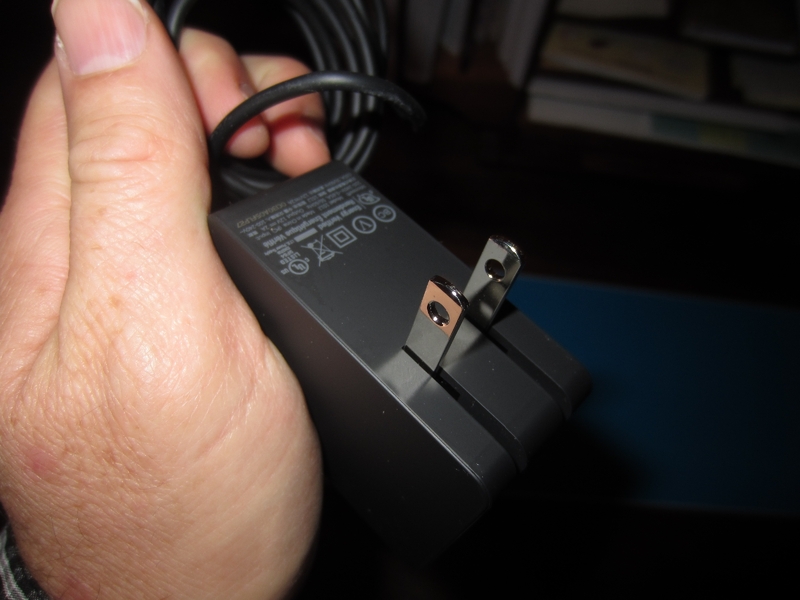 Power supply has folding set of prongs. 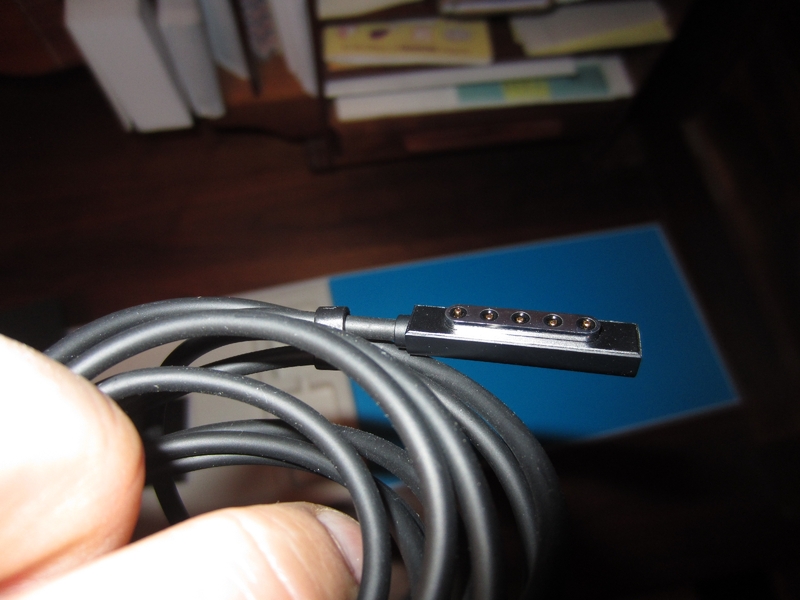 Power supply connector on the Surface side is another magnetic connector. 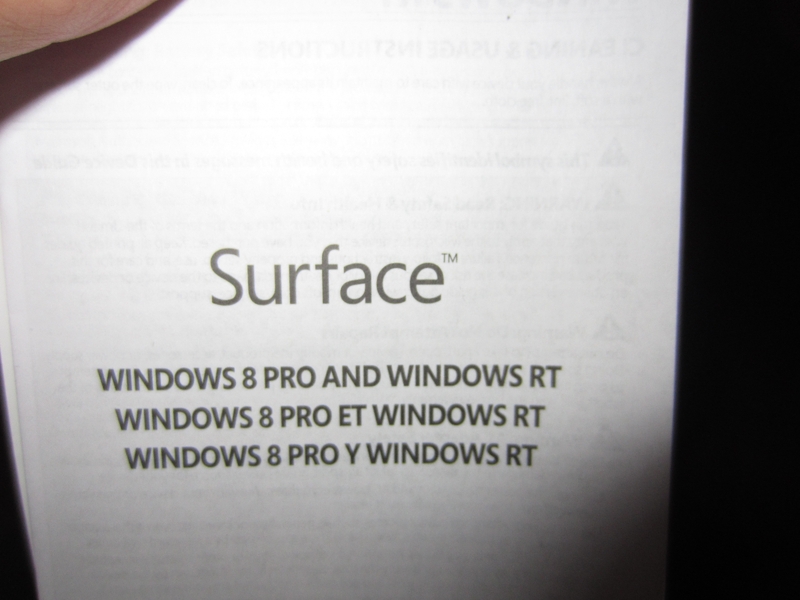 Windows RT instruction manual couldn’t be simpler. 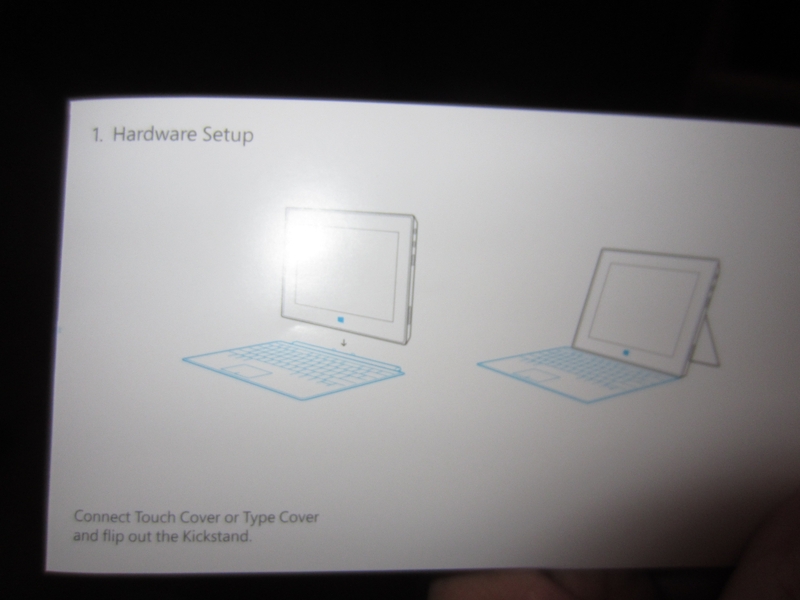 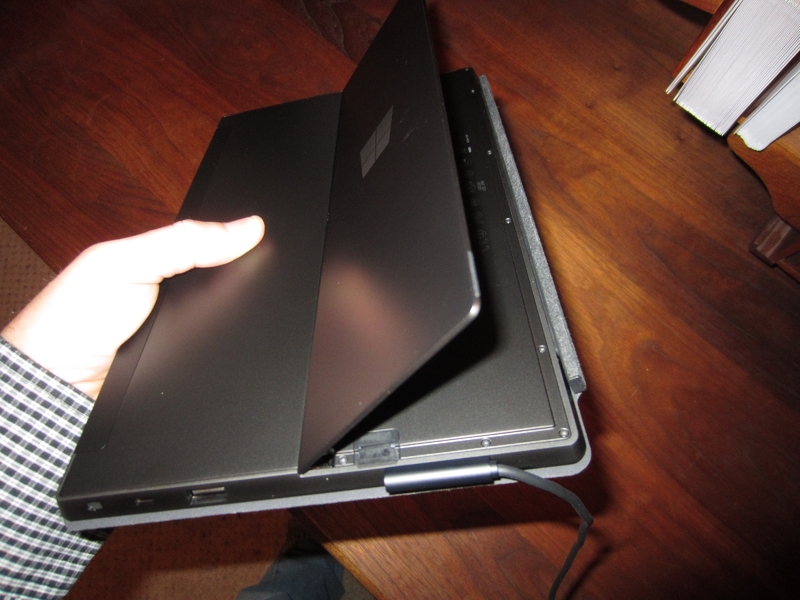 Hardware setup consists of clicking the touch cover onto the Surface. 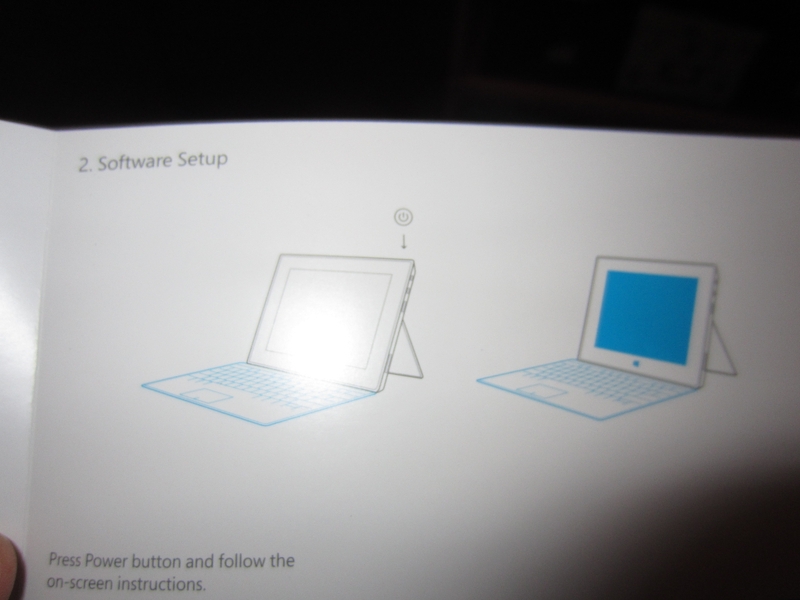 Software setup consists of pressing power button and following instructions. 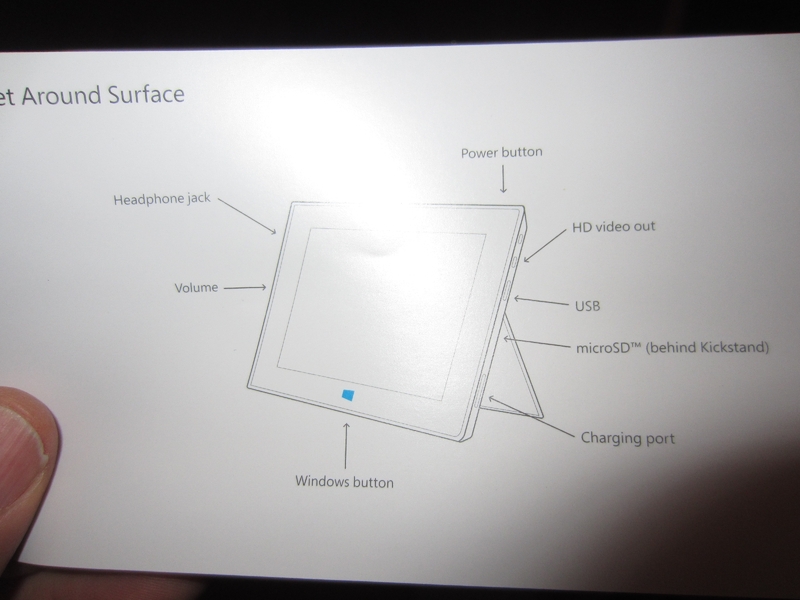 Badge with model info is behind the kickstand. 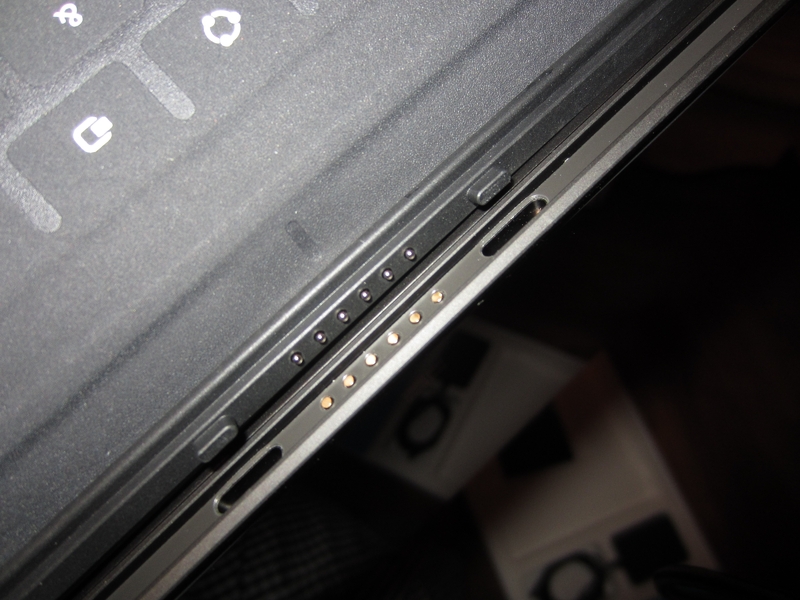 microSD port is behind the kickstand. 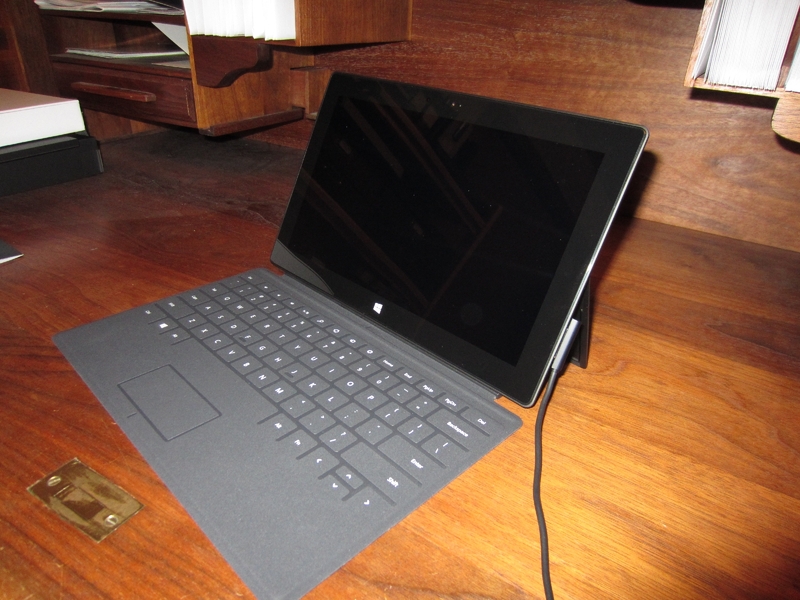 Surface is plugged in and charging.